Recently I have heard so many good things about the home section of H&M, so decided to have a browse on their website, I've got to say I was pretty impressed. I found myself adding so much to my amazon wish list.. when I began adding towels I realised I was getting a bit carried away considering I still live with my mum. Anyway, I thought I share some of the bits I can wait to get my hands on with you... and just so you know, this post is not at all sponsored (nor are any of my other posts) I just got far too excited on the H&M website so wanted to share this on my blog. 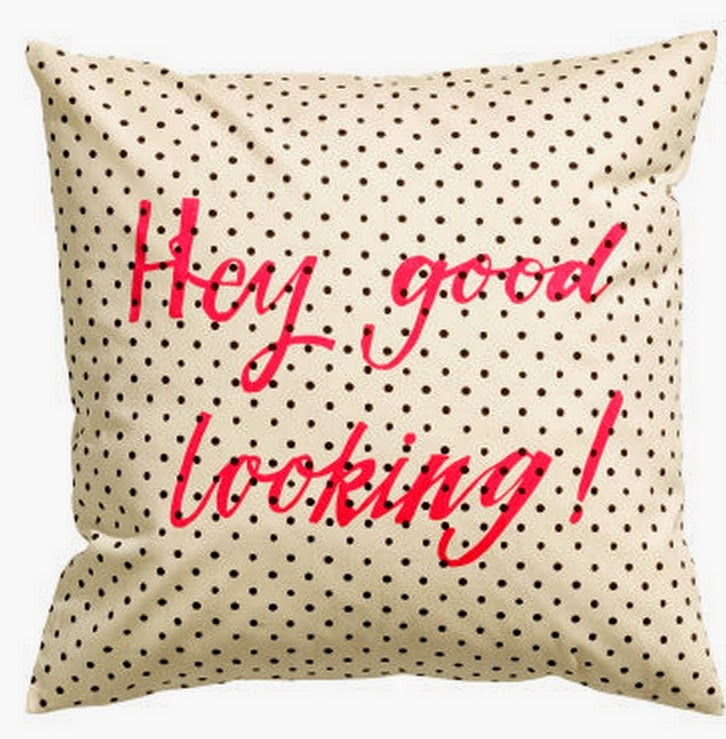 How cute is this cushion cover? and so cheap too! I definitely want to get one of these. I saw this plate and almost ordered it straight away, then I realised until I move out I have no need for a random plate, and although it's super good value for money at just £3.99 I am supposed to be on a spending ban and buying plates won't help me save for my holiday. 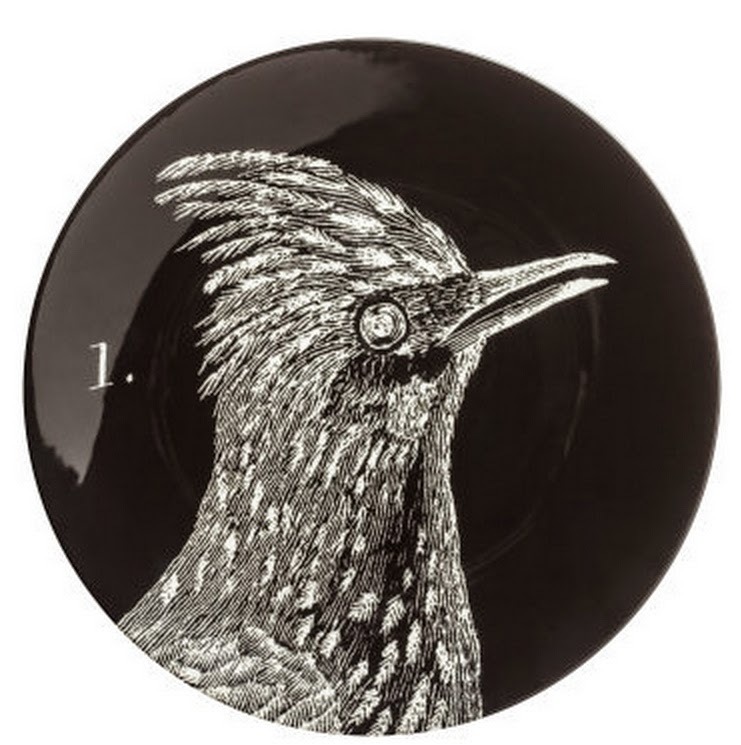 I really love the use of white on black in this plate, you don't often see plates (or other things for that matter) with black as the base colour with a white image on top, and I just think it looks really cool! Yet another plate which I have no use for until I move into my own place which won't be for a very long time, but I still could not resist putting this plate onto my wish list, I just think it is so cute! 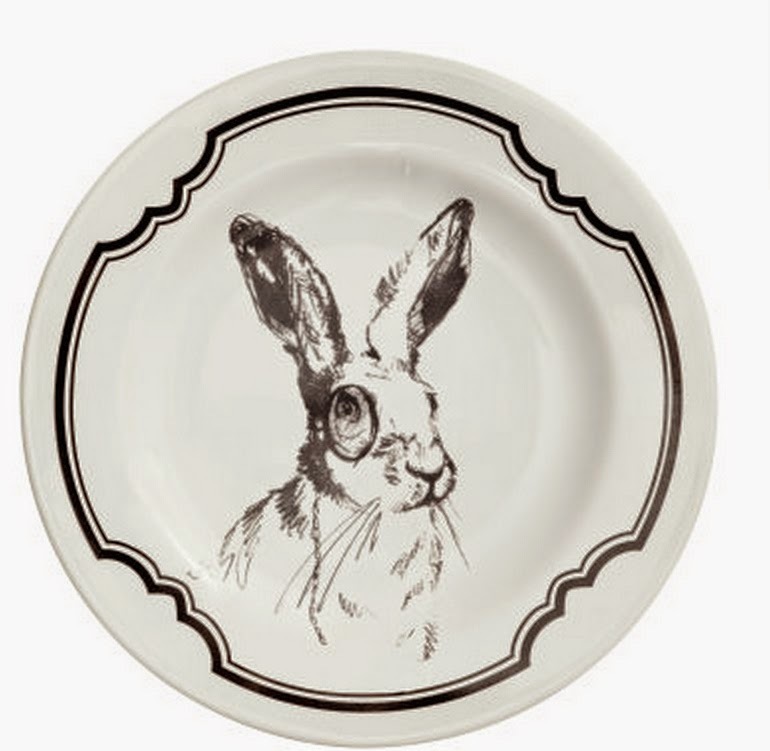 When I move out I would love to have lots of mix-matched plates (mainly in black and white) and these two would be great to start the collection. This dish would be the perfect way to store earring, hair grips and other bits and bobs, it would also look really sweet on my bedside table! 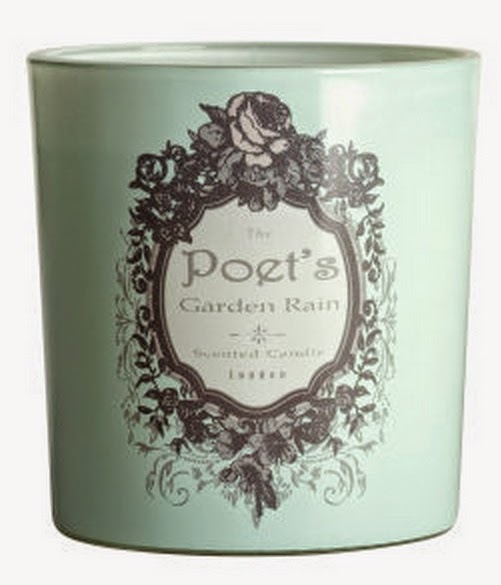 I want to get a few scented candles to make my room to make it feel a little more homely and fresh. This candle also matches the porcelain dish really well! 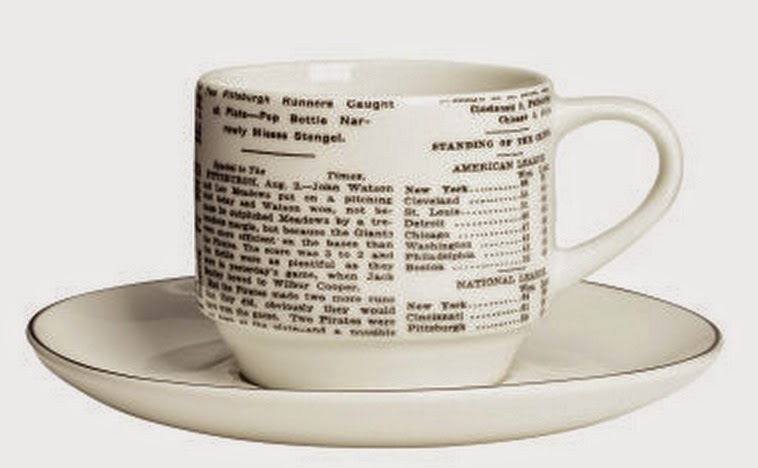 This cup and saucer is adorable, I also really want to try to read it! 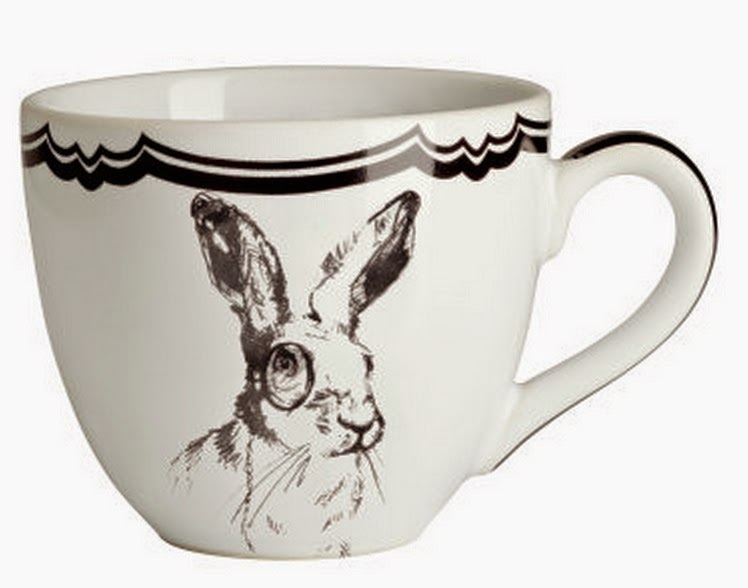 There's a rabbit teacup to match the place, and how adorable is it? 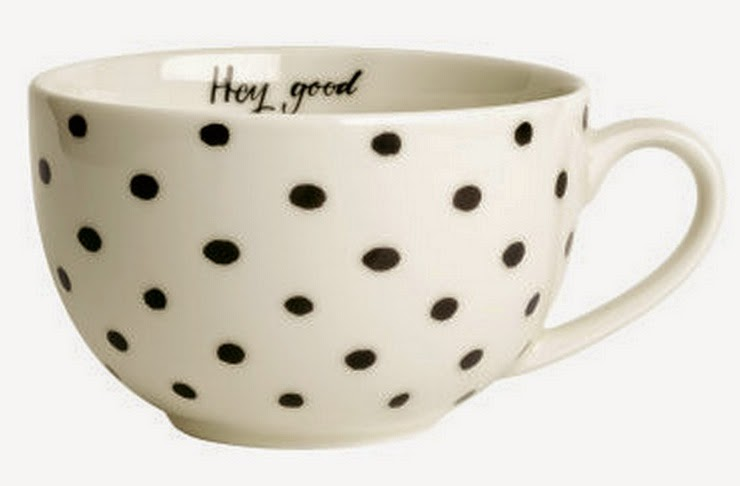 I don't think I have ever wanted a mug this much.. you can't really see but inside it says "hey, good looking', and the polka dots are adorable, I think this would be the perfect hot chocolate mug for Autumn/Winter. I don't think this will be staying on my wish list long before I buy it. 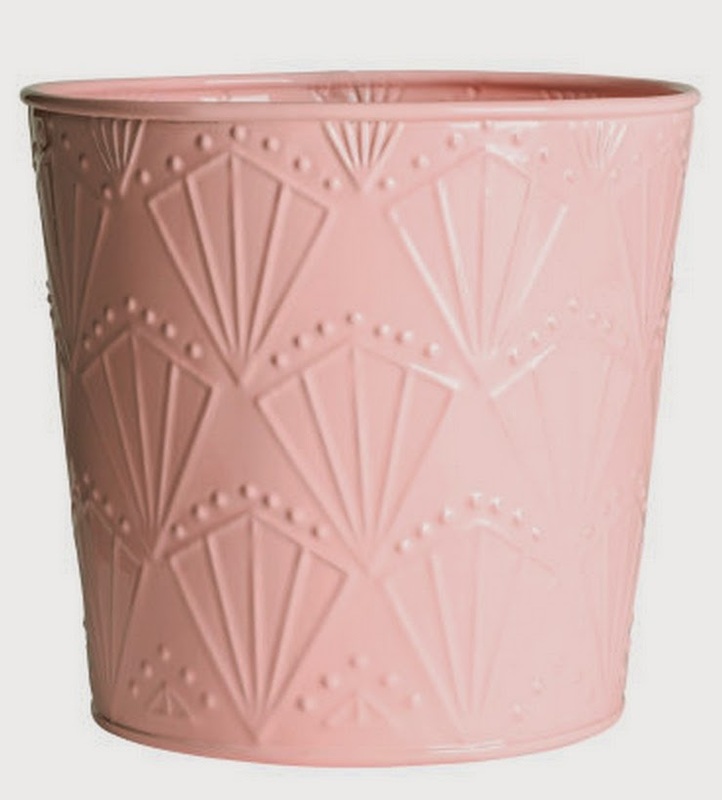 I have been searching for a nicer way to store my make up brushes, rather than keeping them in making up bags or in the cases they came in, and I think this pot would be perfect, it so pretty and would add a nice pop of colour to my bedroom, and looks as though it would be big enough to store all of my brushes. 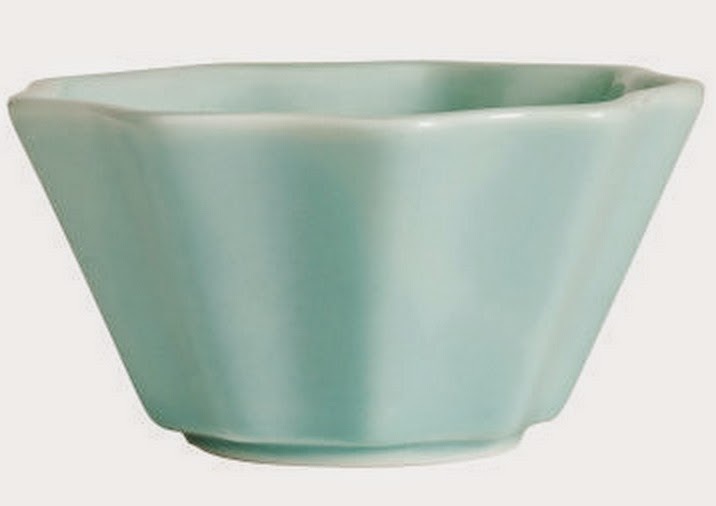 Overall I was so impressed by the product available in H&M home sections, and they are all such good value for money! I will definitely be treating myself to a few of these bits soon!